With Cinco de Mayo just around the corner, Zagat is out with a new survey about America's growing love affair with Mexican food. Zagat found 37%, of those polled, say they're eating more Mexican food now than they did five years ago. They're also choosing tacos, enchiladas and fajitas a few times a week. 54% say they eat Mexican one to four times a week. Why are Americans ordering so much Mexican food? It looks like price is a big part of the appeal. 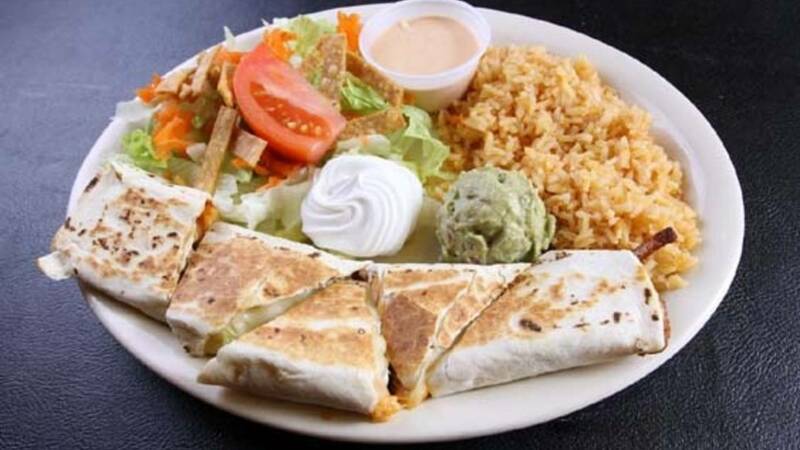 Diners tell Zagat they love a good deal, and they can find good Mexican food at a variety of pleasing price points. So, what are the most popular Mexican dishes? It's really a toss-up between the ever popular taco and the enchilada. Sixteen percent say tacos are their favorites, while 15% choose the enchilada. Many people also like to turn up the heat, with 41% telling Zagat they like they're Mexican food "hot"! Finally, when it comes to the perfect beverage to wash down those tasty Mexican meals, the hands-down winner is the margarita. Forty-eight percent say they prefer the classic-Mexican cocktail. Mexican beer came in second with 36% of the vote. Whatever Mexican eats and drinks you prefer, have a great Cinco de Mayo! To see more of the Zagat results, click here.